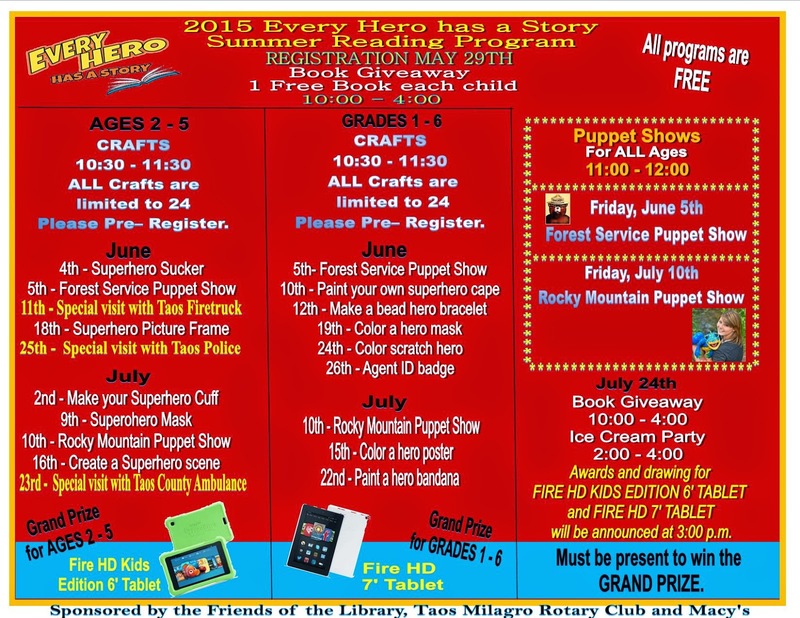 The Children's Library summer reading program kicks off on Friday, May 29th, from 10:00 am to 4:00 pm. 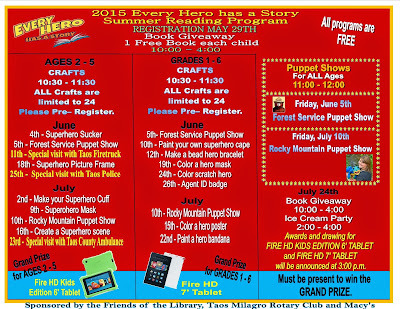 Register for the summer reading program and pick up a free book! The teen summer reading program also begins on Friday, May 29th, from 10:00 am to 4;00 pm. The first 20 teens to register will receive a free book and book bag! Can’t boil water? Or looking for something new and different to perk up dinner? 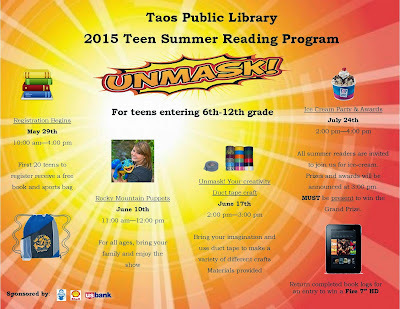 As usual, your TAOS PUBLIC LIBRARY is ready to come to the rescue! 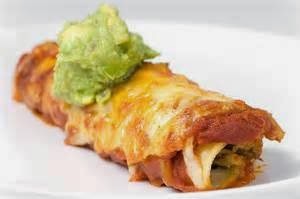 There are over 250 books on every aspect of cooking, from soup to nuts, from here in New Mexico to (among others) Africa, Italy, France, Thailand, India, Indonesia, China, Malaysia, Vietnam, Morocco, Lebanon, and. This post is a bit of a departure from what's happening at Taos Public. I couldn't resist sharing these beautiful images from book lovers around the world. Taken by National Geographic photographer, Steve McCurry. 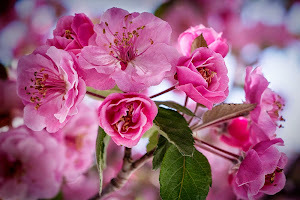 I hope you enjoy these images and author's quotes as much as I did.